We’d like to thank each and every one of our readers (and welcome new readers!) for visiting here’s the thing—and hey, what better way to show our gratitude than to give away a Kindle Fire tablet? Update: the deadline to enter the contest has expired. Thanks for playing! 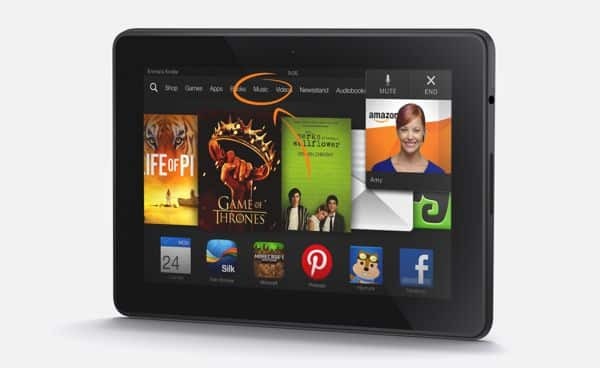 Yep, we’re talking the brand-new Kindle Fire HDX, complete with an ultra-sharp 7-inch display, a peppy 2.2GHz “quad-core” processor, on-demand access to all your Kindle e-books and Amazon “Instant” videos, and the new “Mayday” button for 24/7 tech support via two-way video. To enter, just sign up for our daily tips newsletter before December 29, 2013 at 11:59 p.m. ET. And not to worry, if you’re already subscribed you’ll be automatically be entered. Good luck, and thanks again for reading!